We decided to released our latest doctor game just before christmas, and we’re glad we did! 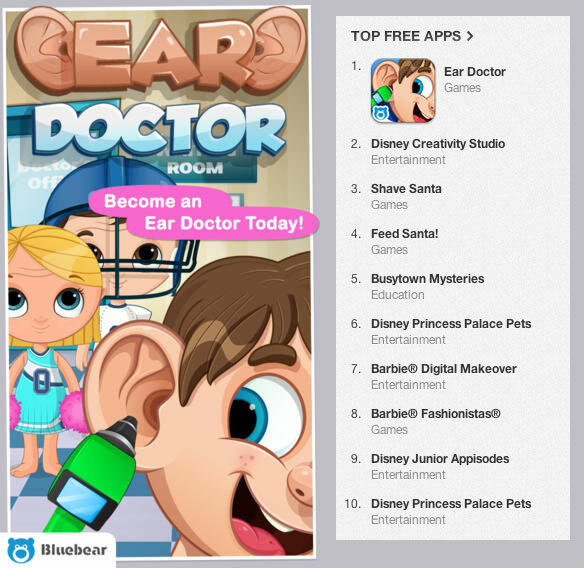 Ear Doctor is high rocketed to the top of the charts and is the number 1 game in the iPad Free Chart. So over christmas it looks like we’ll have 3 games in top ten kids games chart.